The grapes for our 2016 Pinot Noir come from our house block on our cool climate Estate. After picking, the grapes are gently pressed and fermented in seasoned French oak barrels, where the wine remains for 13 months before bottling. The result is a well-balanced wine displaying an earthiness and cherry aroma. Enjoy now with friends and good food. Our Lot 41 estate range embraces our philosophy that good wine can only be made from good grapes. And with patience. We coax the best possible vines from our soils and the best wine from our grapes. Then we allow the wines to gently mature in oak, for months at a time. The result: perfectly crafted, regionally distinctive and vineyard expressive wines. Well worth the wait. 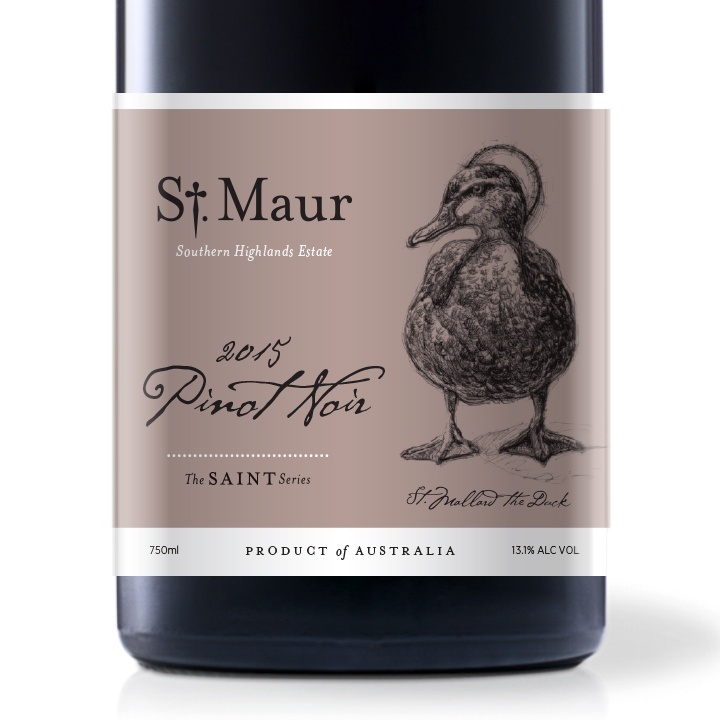 Our Saint Series stable of wines celebrates everything good about life at St. Maur and the things we hold dear. Family and friends. Time honoured practices. Our local and regional community. And of course, the treasured animals on our estate. Our expression of the good life. We like life in the slow lane. In fact, we don’t do change too well at all, which is why our wines are still made using traditional methods. We find that this process produces wines that are of wonderful colour, full of flavour. Call us sticklers for routine. At St Maur with the festive season upon, we have some wonderful gift boxes to share with your friends and loved ones. Our festive season gifts.